aCR.JPGHere's Mine. 14.5" pinned and welded barrel with a VG6 Delta 556. EOtech EXPS2 Green. Nothing too radical, but it is mine A diet brought it down to 7lbs 8 ozs. What did you do to bring down the weight? Uxi and horseman04 like this. Welcome and very nice rifle. Might as well make my first post here. 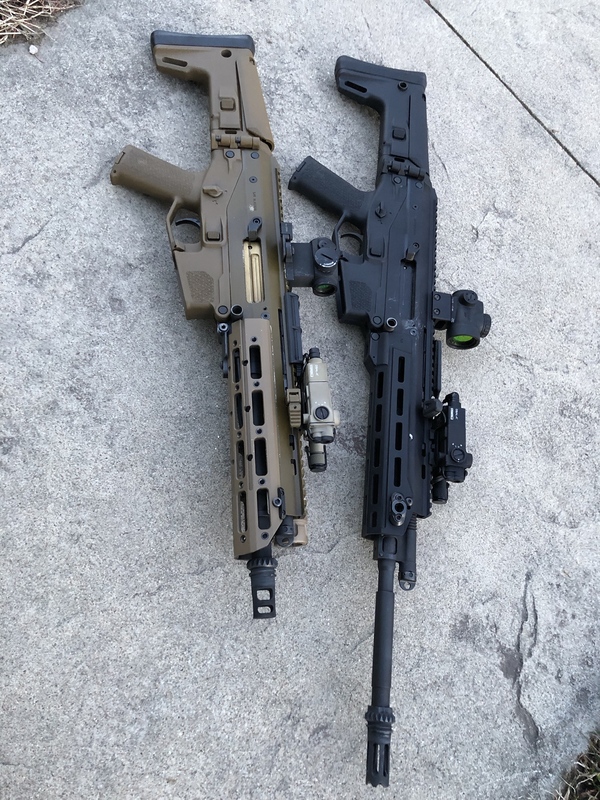 My pair of Form 1'd ACR's. waiting on Templar Precision(Bigdog200399) for a Trunnion and Bushmaster Mlock rail. waiting on Templar Precision for a 10" Noveske barreled Blackout conversion utilizing his new gas block. 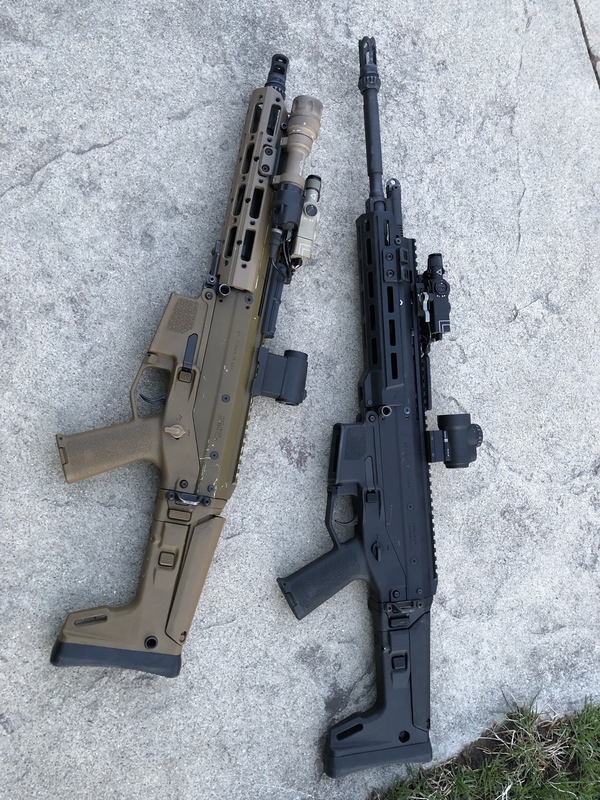 What rail on the coyote?